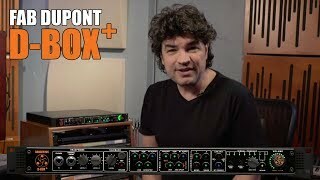 Producer/mixer Fab Dupont shares his favorite features of the D-BOX+ from Dangerous Music. The Dangerous D-BOX+ is a ground-up dramatic redesign of the award-winning controller and summing mixer that provided countless studios the superior sound and versatile control of an analog mixer, all in just one rack space. 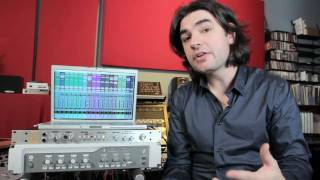 The newly designed 8-channel summing mixer and D-A stereo converter provide Dangerous Music’s bold and clear sound, while newly added features like Bluetooth connectivity and an app for remote control of all major functions unleash a cutting edge feature set that puts the D-BOX+ far ahead of the competition. As with all Dangerous Music products, the D-BOX+ is proudly made to exacting audiophile standards in the USA. 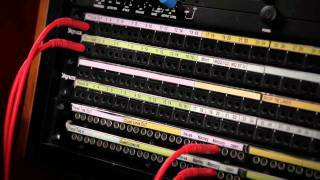 In this video, Fab from www.puremix.net shows us how a Dangerous Music 2-Bus makes it easy to incorporate all your outboard gear without the fear of latency. 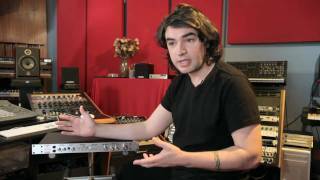 Producer/Mixer Fab Dupont talks about Monitoring with the Dangerous Music D-Box, and how it will benefit you in your studio. 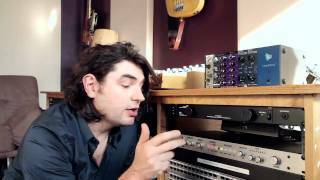 Producer/Mixer Fab Dupont explains how you can integrate a Dangerous Music D-Box with your current audio interface, in this case a Digi003 (but just about any interface can be used).